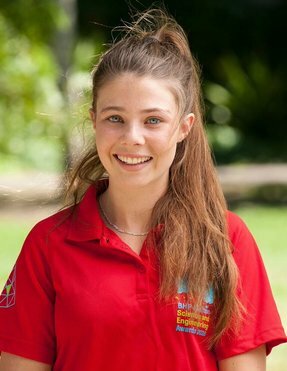 Jade Moxey, from Sapphire Coast Anglican College, has taken out second prize in the 2016 BHP Billiton Science & Engineering Awards with her project ‘The spread of seeds through cattle’. Using livestock as an economic and environmentally friendly control in the fight against weeds is becoming a more common approach within farming communities. However, observing clear contradictions to this approach on her family farm led Jade to question whether this was compounding the problem instead of solving it. Jade investigated what plants, if any, are capable of germinating after passing through the digestive tract of a bovine animal. Jade collected manure samples from the Bega Saleyards, NSW and from these grew a total of 1557 plants from 19 individual species. Her research has already sparked interest among the scientific community and she has fielded numerous calls from researchers requesting the results of her project.